An expressive style, with an elegant finish. 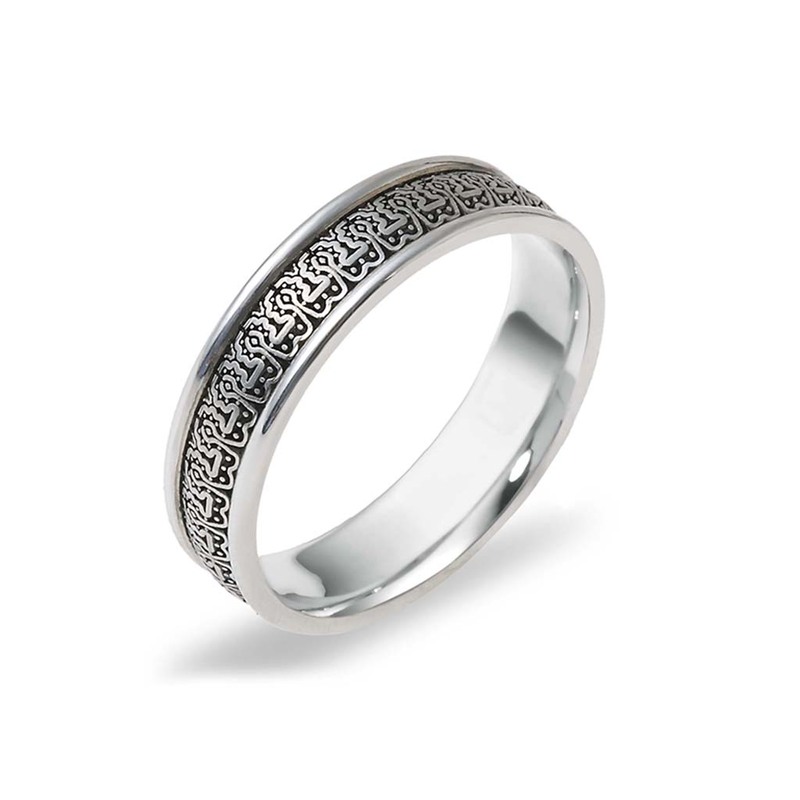 The beautifully detailed pattern continues throughout the whole band, and uses the black antique to create an interesting variance between the white gold and the design. Made to order in 10k, 14k and 18k white gold, and may be fashioned in platinum as well. Please use our filter to make your personalized selections or contact us if you cannot find what you are looking for.